I’ve developed a technique, that I haven’t exactly patented yet, which involves using my fingers in a coordinated effort to dip both ends of a french fry into a small vat of buffalo sauce. I have mastered the art of unfolding the burrito at Chipotle to pour in more hot sauce and put it back together again correctly so it doesn’t collapse into a total mess. I can eat hot wings without leaving a trace of meat and I enjoy cheese steaks with mayo and hots. I can toss a cheese ball in my mouth without paying attention. Girl Scout cookies don’t come in enough rows. I love to eat. I also make poor choices. My body responds to these terrible habits accordingly and so I keep a BJ’s sized bottle of Tums near my bed. Last month, while getting ready for my company Christmas party, I slid myself into my suit pants. Okay, the real truth is that I didn’ t slide anything. I jumped up and down and pulled. The pants groaned over my thicker thighs and then gave in. I felt like a sausage in its casing. I didn’t even want to attempt to bend down for fear of blowing out my backside. Then, with both hands, I pulled each pant flap towards each other. 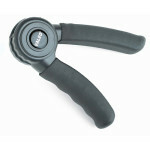 It was like trying to squeeze a hand grip exerciser, and after a minute, I managed to work the button through the hole. The pants creaked and stretched. The button held. Whew. If it didn’t, I was going to the fancy party in sweats and a t-shirt. I put on the suit jacket and could feel it straining across my back. I complained a little to my wife, who happened to be watching the whole scene unfold. Some people can resist the allure of a set of Pumpkin Pancakes with the melted butter and sweet cinnamon taste. I cannot. So, as can frequently happen at the turn of the year, I’m dieting again. I don’t like to call it a – DIET – <GASP>. It should be referred to as a “lifestyle change”, right? I’m going to permanently change how I eat and lose the weight and work out and yoga and jog and do Zumba and help the elderly and practice juggling. [pull_quote_right]Bill Szczytko ran 11.9 miles with Nike. I tried for 12 miles today but only did 11.9! I’ll hit it again tomorrow! [/pull_quote_right] I’m going to attach the Nike and Fitness Pal and Fitbit apps to my Facebook account and make all of my friends jealous and angry with my progress. I’ll paint a white shirt different colors and run half marathons. Maybe, I’ll quit eating meat and start shopping at Whole Foods. I’ll thumb my nose at the food establishment while engorging myself on kale and shakes. I, however, am a realist. It comes from being on this merry-go-round of eating for the last 41 years. Graduated college – heavy. Lost the weight. Got married – heavy. Saw the birth of my son – heavy. Lost the weight, again. I quit smoking more than 14 years ago. It was a stupid thing that I started doing back in college. I’m sure you all did stupid things back then too so don’t judge. Quitting smoking wasn’t as hard to do as leaving the cheese steaks and fries in the kitchen. I love fried food. Ice cream. I really really wish I loved vegetables and healthy stuff but the sad fact is, I don’t, certainly not as much as the crappy stuff. I’m envious of those friends who see a plate of carrots or a plate of brownies and go orange. I’ll lose the weight over the next few months. I’ll keep it off for a while. Then life will get funny and I’ll give in and forget. 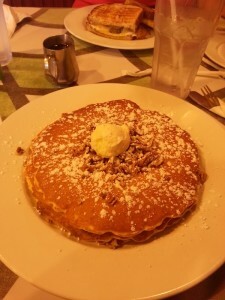 I’ll overeat and be right back where I started. I’m not saying it’s okay, I’m just saying that at 41, I’ve grown accustomed to some things. 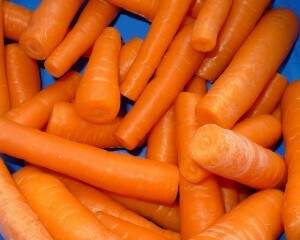 I ne ed to start eating more carrots, I think. Quit your complaining damn it!